Our January meeting was an exciting event. The New Jersey State Museum hosted our meeting. Many members attended the meeting. Several members were acknowledged for their hard work and support of our organization. Sevrie Corson and Darryl Daum received Appreciation Awards, Sabrina Madjeski earned a Merit Award, and David Mudge was given a Lifetime Achievement Award. Two lucky members were the high bidders on 29 Bulletins and 88 Newsletters, both of which will make excellent additions to the bidders' libraries. Jack Cresson and James Lee were elected as Members at Large for the term of 2019-2021. Veronica Ditko, Jack Cresson, Richard Veit, and Casey Hanna presented very interesting papers to the society. 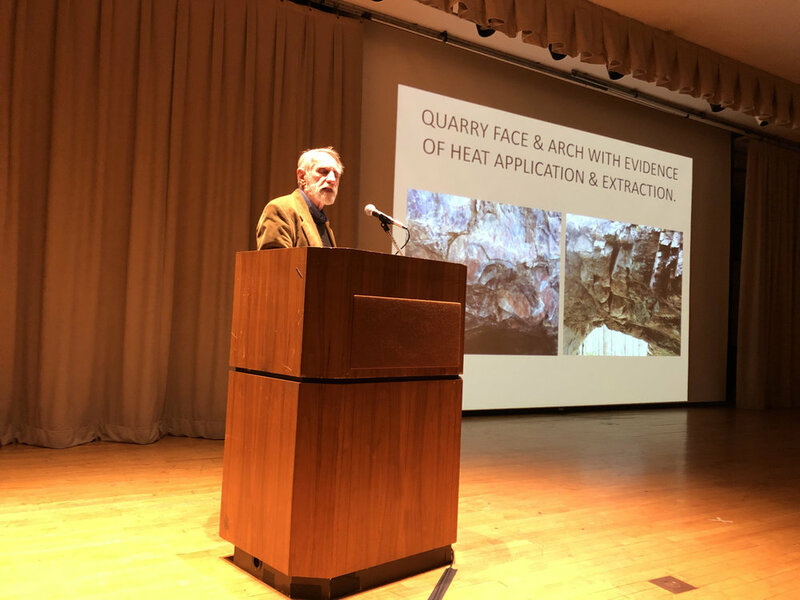 The topics included Monte Kahn, a New Jersey resident, swindler and high society mingler; experimental archaeology using fire and water as prehistoric quartzite quarry extraction techniques; and archaeology of mutiny through an examination of the Pennsylvania Line's 1780-1781 camp at Morristown, NJ. Numerous people brought artifact collections for examination, including prehistoric assemblages from Old Bridge, Middlesex County; and interesting artifact samples from the I-95 project in Philadelphia. 10:00am – 11:30am Board Meeting (Auditorium), All are welcome. 1:55 – 2:15 "Monti Kahn: Con Man or Crusader of Jews in Victorian New Jersey." Free Parking behind museum and in parking area next to museum. Presented by Jamie Ancheta (Monmouth University), co-authored by Chris Mathews (Montclair State University). Thank you to all who attended our meeting on January 16th. I was happy to meet several new faces to the organization and I hope to meet many more over the next year. Our main goal in the next year is to recruit more members and to continue to offer opportunities for members to participate in various public outreach events. 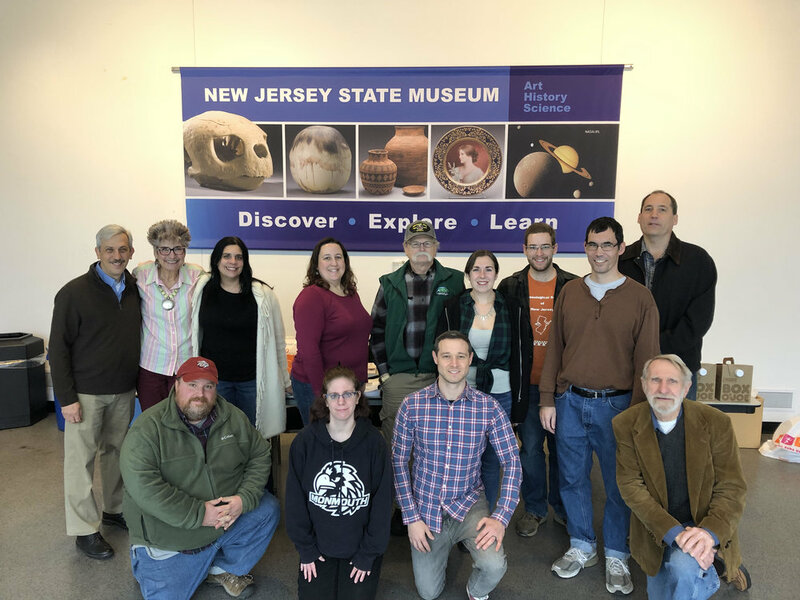 Such opportunities include: volunteering on an ASNJ archaeology dig, sharing an artifact find with the ASNJ website, attending a meeting, or offering a submission to our ASNJ bulletin or newsletter. Remember, you don't have to be a professional archaeologist to be an ASNJ member. We have a desire to enhance your experience with New Jersey heritage and archaeology. You can be a professional, a student or an enthusiast. Membership fees help cover the cost of our events as well as produce our publications in a timely manner. If you are interested in joining ASNJ, please visit the Membership page on our website.